Fun and Cozy Knit Fox Hoodie! As we entered the holiday season, my sister asked me to make a hooded fox cowl for Georgia, her 5 year old niece, for Christmas. She had seen some pictures on Pinterest and thought it would make a great gift. She asked if I was up to the challenge and, hello, of course I was. Hoodies of the cutest woodland creatures are adorable! We found a pattern on Etsy that we both agreed would be super cute if it turned out. 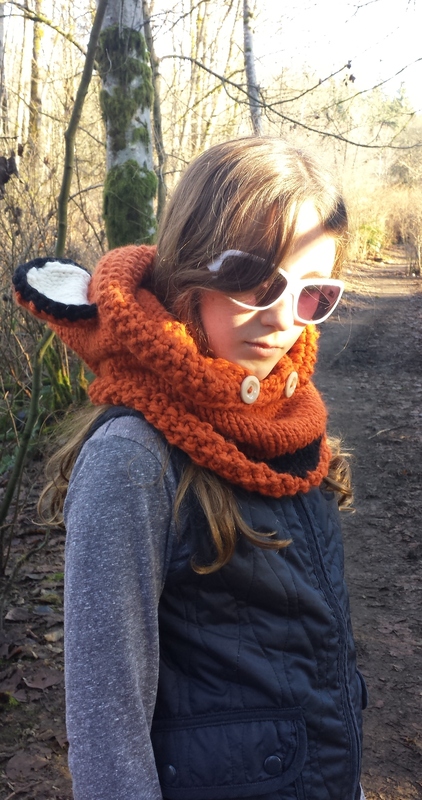 “The Failyn Fox Cowl” designed by The Velvet Acorn (Heidi May) www.thevelvetacorn.etsy.com is absolutely fantastic and the instructions are well written and easy to follow. Heidi offers a wide ranges of sizing as well from 12-18 months to teens and adults. I made the child size which was the perfect size for Georgia. The fox hoodie went on as soon as she ripped open her gift, it was a hit! Having made two of these hoodies in different sizes and ending up with fantastic results both times, I am loving this pattern. I added a listing to my Etsy shop for custom orders ~ it’s wonderful when you can work with a pattern that gives consistent results. My niece took one look at the pictures of Sarah posing in her fox hoodie and shades and asked me to make her one that looked like a wolf, so I’ll be switching up the colour to a grey blend. Stay tuned for pics of the wolf! This holiday season just reinforced my love of all things warm, cozy and woolly and sharing it with loved ones. 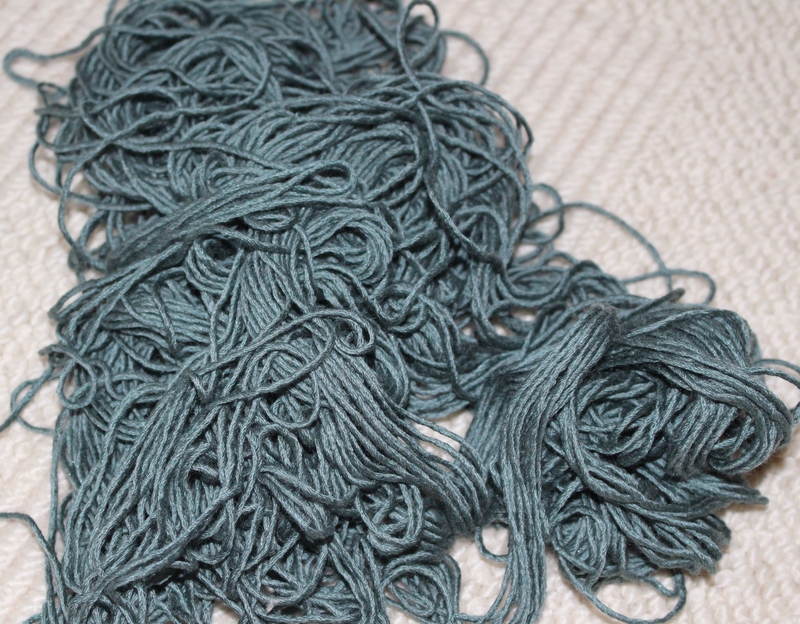 My hands are happily tired from all the hooking and knitting but it was well worth it. 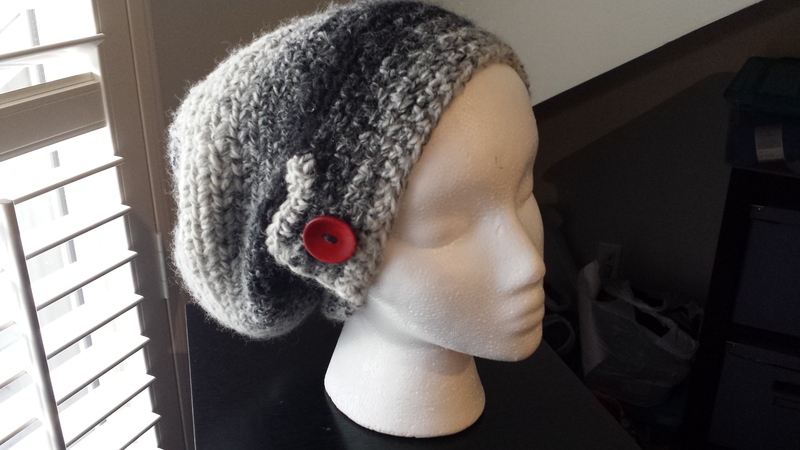 Of all the items made over the last couple months, my number one gift to give was the Macchiato Slouchy Hat designed by LittleMonkeysCrochet. 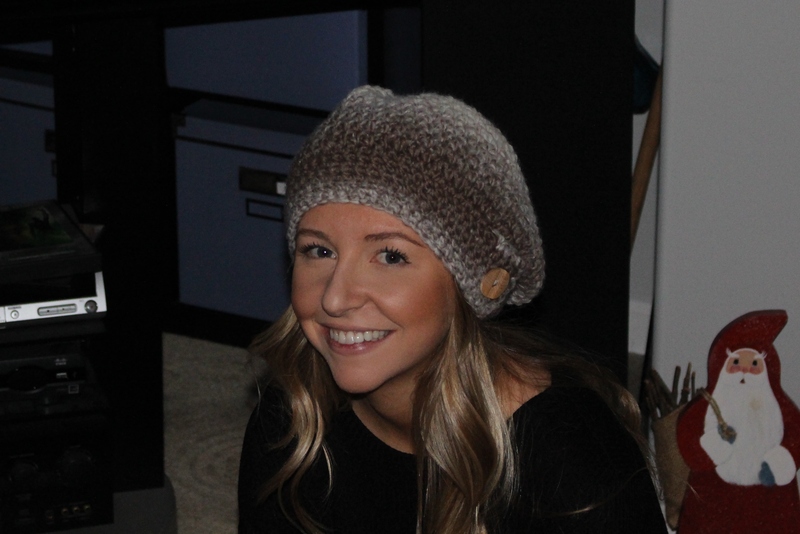 This hat is a fantastic accessory for the winter, a great gift for hat lovers. 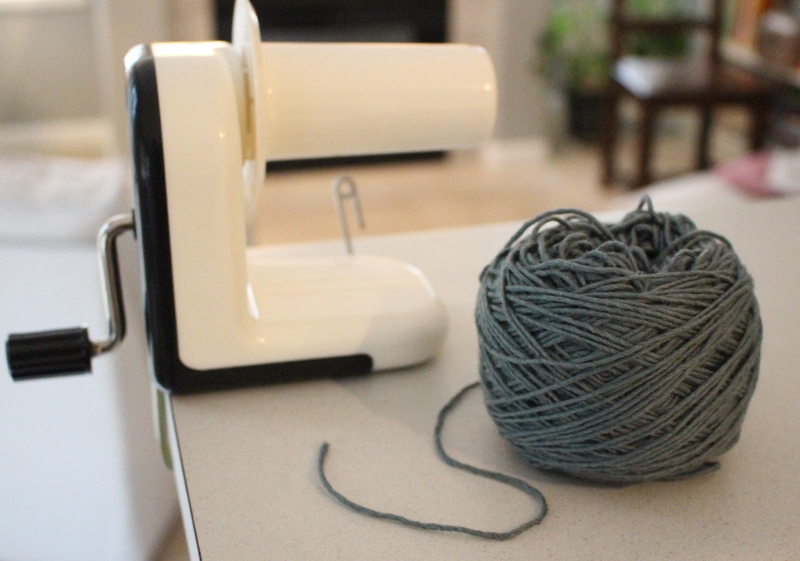 Rebecca has once again picked the perfect yarn for this project – Lion Brand’s Scarfie. The ombre effect is gorgeous and yes, the one ball can make two hats (just). 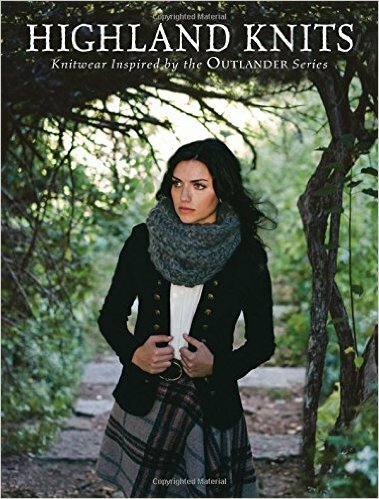 It is by far my favourite slouchy hat for winter and, pictured below, worn by one of my favourite people. I’ve also made it in black and white with a weathered red button for some “wow!” effect. I love the splash of colour against the white and black. I have one more ball of Scarfie in black and dark raspberry pink – can’t wait to make a couple more!